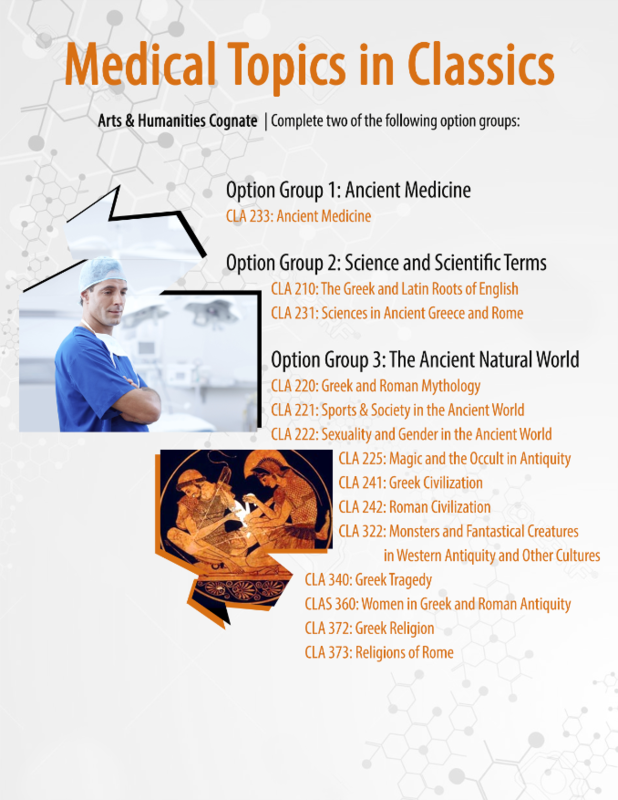 Courses in the Department of Classics (CLA, GRE, and LAT) are included in cognates for both the Arts & Humanities and People & Society Areas of Knowledge. Please click each cognate below for more information. Take a quick look at our Medical Topics in Classics* cognate!